This guide is intended for legal marijuana growing only. Security measures mentioned are to help you avoid crop theft. Guerilla growing is used worldwide to grow marijuana outdoors. It takes some hard work and a lot of time to get a good set-up and top yield but the result for the work put in can be huge. You won’t be paying any huge hydroponic running cost and your indoor lighting costs will be zero. Our experts have put their knowledge together to create a most comprehensive Guerilla Growing Guide. Plan – The first thing you should do is plan your strategy well in advance of the growing season and start preparing your grow area in stages well before. By doing it in stages you will also be able to know your area better, watch for other people, animals in the area and of course ‘rippers’! Where you decide to do your guerilla grow will be the make or break of your operation. There are a multitude of things to consider. Number one being security. It’s no good just wondering a few yards into a wood and starting a clearing. You need to be well off the beaten track and I mean really well off. A place that people don’t go. Ever. The location also needs to be close to a water source, for obvious reasons. Ideally the location should not be visible from a path, unless you know what you are looking for. You really need to be sure that other people do not travel where you are looking to start your patch. Think about walking an hour plus into the woods to get a nice remote location. The deeper the better, you have to be walking further than any thieves would venture. One good tip is to carry a pair of softer soled shoes with you to walk the last 300 feet or so and keep the obvious wear on the environment down to a minimum, where bags over your shoes or go bare feet, either way change out of the walking boots. Damn good acting – Before you even get out of your car make sure you have parked either where people can’t see you getting in and out of your car and don’t associate it with hiking or where there are lots of cars and yours does not stick out. If you keep returning to the same place with the same car people will notice. You think you know that area better than anyone but trust me there will be other real hikers or guerilla growers that will start spotting your car there regularly, get curious and may put two and two together. I can recommended borrowing cars, renting for a day now and then or even better buy a really cheap car for the purpose, sell it, buy another and repeat two or three times. You might even make a dollar buying and selling them like I did! When you are scoping somewhere to plant your babies there is no need to act like you shouldn’t be there. There are lots of genuine reasons to be out in the country, believe it or not. Walking, bird watching climbing (climbers often have big rucksacks) so when it comes to taking your stuff out, or even just scoping the area you might want to consider taking on another persona for this as cover. Look out for litter, tracks, overhead wires, pipelines, broken branches and other signs of other human activity. Stay clear of those areas. Obstacles – For extra security you could put some natural obstacles in the way of others, to really discourage others from finding your location – climb through nettles, thorn bushes, wade through water, you get the idea. You really have to get deep into the country where there are only animals. Uninhabited – Animals are also a good indicator of whether people are around an area often. Deer don’t like to hang out with humans so if you run into some of them, or any wild animals in their natural environment then you are probably getting close to a good place for your grow. Also look for an area that is sheltered from the wind if possible – exposed hillsides can be brutal in high winds – something we are seeing more of. Testing how uninhabited it really is – You really want to be sure you have a secluded spot. Some people put shiny coins on the ground to see if they get picked up, others leave useful but cheap implements on trees like a pair of sunglasses or a cheap waterproof head torch. If they get taken you know people are around. Another more expensive method but far better and more useful at seeing exactly who these people are and their frequency is to use a covert digital camera. There are many options in this field, there are the cheap digital camera models you can wrap in camouflage hunters tape (often used on guns) and it’s waterproof too. Or you can go all out and buy a proper hide, trail or wild animal camera specially built to take covert photos. The main feature your camera needs is the ability to have a good battery life and take photos when movement or motion is detected, preferably in low light with no flash – again all this is found on eBay. Aerial – If aerial intrusion is of an issue (people have small radio controlled heli-cams these days) then you are going to have to grow in a wood – and take great care not to disturb the natural environment in any way. Human activities are often easy to spot in the air, and these spotters know what they are looking for. Risks cannot be taken – plan things like a military operation. Get a map, preferably one with hiking trails, water and elevations marked on it, study it really hard, looking at car parks, waterfalls and trying to work out which tracks you think would be heavily used and which might offer less traffic and the ability to branch off from. Look for suitable places on the map first rather than randomly wondering around the countryside. Google maps can be useful for this. Risk – Spread the risk by having maybe three locations situated not too far from each other. If one gets ripped off you may still keep the other two. Elevation and timing – In the northern hemisphere you need somewhere that is south facing, (in the southern hemisphere you need north facing) ideally, and as remote as possible. South facing with great access to the eastern and western skies is perfect. It’s better to use somewhere that is on a slight slope so that water can run away. The plants need at least six hours direct sunlight each day (more is better) and the sun will change position as the year progresses so take this into account too. Smart growers position their plants on the south side of bushes, making them less visible if somebody does find your plot. Avoid the coast – soils near coastlines are too salty. For more ideas read Robert Bergman’s article on the best places to grow marijuana outdoor. Don’t tell a soul – Once you have found your ideal spot do not tell a person. Nobody. This way nobody will be calling to steal your hard work (‘Rippers’). You get the idea. As well as keeping people away from your garden, animals can be a problem. Deer like to eat marijuana. Natural layout – Do not put your plants in a line – keep things as natural as possible – nature doesn’t create straight lines, so this is another dead giveaway from above. It makes most sense to dot your plants around an area, which is more work bur increases your chances of keeping some of them. Protection – If you have to protect your plants from deer and animals, then a wire mesh fence (careful as the shiny wire is easily spotted) can be fitted round the plant. Some people go as far as making a dog poop soup (having fed the dog meat the day before) and smearing that around the fences. Pretty gross but it works. Outdoor plants do get big though and can be worth a lot of money so you have to weigh this kind of thing up. I know some guys who had gone as far as to protect some cheese plants with concrete and wire mesh, but rats still made it through and took a thousand seedlings. Some people haul their plants high up into trees with ropes, just to be sure. Also think to protect yourself; snakes, bears, coyotes and mountain lions are no joke if you get between them and their young or startle them. The more carefree and risky method is to plants seeds rather than seedlings. This is not very clever and not really recommended, unless you are just playing around. The best method is to start with foot high clones. Look to plant after the last frost, that means when you think the last of the cold nights have come to a close, this might be around mid March to early April in the northern hemisphere and of course the further north you go the later you will plant. As mentioned earlier it is best if you have started them off earlier indoors than just planting seeds or seedlings. If you can, it’s better to let the plant get to about a foot high first before you take it out to the wild. This is a much safer bet and will stop the plant being eaten by birds or other animals when it is small. You can start a plant under a light for a few months at the beginning of the year to get it ready to plant outside. It’s important though that it doesn’t go straight from indoor light to sunlight. You’ll need to introduce it to its new environment slowly. You could start this process in your garden letting it get two or three hours of sunlight more each day. If you don’t do this you could fry the plants. The change has to be gradual. Bushes can be useful, or shade the plant with something to cut down the light at the beginning. Alternatively you could just start the plants outdoors in your garden, in pots depending on the climate. Root Pouches will eventually rot when they are put into soil – and if you have used them you will know you see roots poking out of them sometimes. These kinds of pots could save you from re-potting your plants – saving on shock for the plant, and hassle for you. Just plant directly into your freshly prepared earth after slitting holes in the side and bottom of the root pouch so the roots can easy get out. Remember though these pots are visible and may need to be camouflaged. The other thing to do with these guys is just cut them off. Much, much easier than dealing with a plastic pot. Other guerilla growers use Pulp Pots, these are biodegradable pots and they offer a number of advantages. 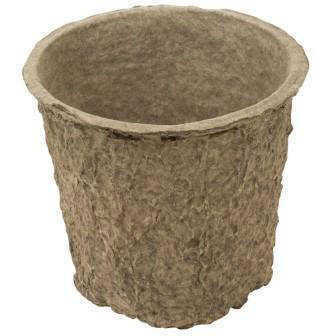 They are made of recycled paper and look like soil so they blend in, they are light, excess water will be retained by the pot so that the plant does not drown and yet still has access to extra water if the soil inside the pot dries out. Once you find your ideal spot, you need to dig a big hole for each plant. The bigger the whole, the better the soil the higher the yield. A good size hole should be around 3 foot cubed per plant. If you are planting a bunch together you can squeeze them a bit closer than this. This is not easy work so if you are not committed then don’t even bother starting to guerilla grow. This is where the hard work comes in. You’ll need some kind of spade, look for the foldable sort. Although including a pick to help open the soil up can also be very useful. Don’t leave any big looking roots or anything that looks like it might compete with your babies. For the best grown guerilla marijuana you will need to use a good premium potting soil with several additions. Don’t use cheap soils or the soil on site, unless it is very loamy, dark and rich looking. Get the best potting soil you can purchase. Get something that has peat moss, perlite, and vermiculite already in it if you can. Soil is of course heavy to carry with the big bags weighing in at around 75 lb. So if you are lucky enough to have a good area with good soil you might be able to use a 50/50 mixture of good natural soil and potting mix. Brilliantly here is a soil amount calculator – got to love the internet. So we can calculate you will need 0.9 yards of soil (some calculations say 1.0 yards of soil) for a 3’x3’x3’ or 27 cubic foot hole. To fill a 3’x3’x3’ hole you need around 27 regular bags of soil! That is a large hole for a large tree, you can get away with smaller but you will have to bring in about three hikes worth of soil for each plant so that is why you need to start hiking well before the season starts. There are a number of options for natural fertilisers – guano, chicken manure, blood and bone, worm castings, compost – all these things are great for the soil and help to add much needed nitrogen and other essential nutrients. If you do use manures compost them with the soil first to avoid burning your plants. Use a ratio of 1:4 with natural fertilisers. If you are going to add fertilizers in the vegging stage think N-P-K, Nitrogen, Phosphorus and Potassium at a ratio of 10-5-5 and the guys at Fox Farms have some fantastic gear if you don’t want to use the more natural chicken poo. Dolomite lime can help to stabilise the pH and counteract any acidity in the soil. Polymer water retaining crystals are becoming popular and if mixed into your soil can significantly cut down on the amount of watering required by your plants – very handy if you’re growing in a dry area – use in moderation. The best method is to wet it first before mixing with the soil so you can see what you’re dealing with. Vermiculite can also be used to soak up water and nutrients, improving the conditions of the soil. Mulching with leaves can help the soil to retain its moisture longer – and Perlite can be added to assist with drainage and aeration. It is possible to find good soil in the wild and use that however this is quite rare. Soil where grasses have been growing are often suitable as they recycle the topsoil well. Maybe you can find good soil near your site or on the way, this would also save a lot of soil moving hassle. In California and other parts of the States and Spain there are varieties that have been growing locally for many, many years – getting hold of one of these strains would be ideal but perhaps tricky if you don’t know the right people. Guerilla’s Gusto, Afghani crosses, Mazar and Skunk strains grow well outdoors. Northern Lights grows well also and is very forgiving, and African landrace strains are also worth attention. Haze crosses also get really big, if you have enough sun. We suggest purchasing from one of the big UK or Dutch seed banks. You get what you pay for and no point in doing all this work but having a crap strain to start with. Check out our marijuana seed strain bank recommendations here. You also should choose a strain that finishes in September as late finishing strains can contribute to the possibility of damp. Bear in mind how big the plant may get – however should this become a problem you can tie the plant down (which will improve the yield) or bend its branches down so it grows sideways (LST – also good for adding to yield). When you go to water your plants you should check each one of them, and if required, repair them if they have been damaged. Duct tape is very good for this, yes another use! If it has rained recently, you should shake the buds out so that they don’t become damp and susceptible to mold. There is not a great deal that you can do about insects. The best line of defence is to plant more than you want, and accept that you are going to lose a plant or two in this process to insects or animals. Snails can be dealt with by using slug pellets (careful of the colour so as not to give things away). There are sprays and potions available to repel mites and the like, but these don’t tend to be very effective in the great outdoors. Depending on your climate and grow location you’re probably going to have to water your plants once every four to seven days. Think about what this means in terms of shifting water, where you will get it from and how you will move it. Somebody has come up with a novel way of doing this with a water container, solar panel, battery and pump. Remember though that solar panels can be easily spotted from a distance. Some people found these guys solar gear useful, but there is always eBay. The solar panels will charge the main battery while the timer will turn the pump on for one to two hours per day, better if this is very early morning as you get less evaporation and any noise won’t be heard. You can pump directly to the plants or use a reservoir and drip it out from there. A 6’ tall marijuana plant fully vegging requires around a gallon of water two to three times per week. Water weighs 1kg per litre or 8.35 lb per gallon. Is it possible to dam your nearby stream briefly and flood your growing area? Big plants need a lot of water when they are flowering so it is not the easiest solution. If your area receives around one inch of rain per week then you won’t need to worry about watering – but you’ll still need to look in on your plants from time to time to check they are OK. If you need to move water this will become a full time job so again you will need to ‘man up’ and commit to this kind of venture. Flowering – So it is mid July and the girls are starting to flower. Excellent! Then one by one over the next month or so they will all start. Now if you have grown from seed (not recommended) you will need to watch out for the males (marijuana sexing), rip them out straight away. Even if you use feminized seeds we suggest keeping an eye out, because just like condoms, they are around 99% effective. The best bet is to grow from clones so you know you will get all girls. Once they grow big enough and bud well it is time for harvesting. Read about marijuana harvesting and drying. Don’t go booby trapping your guerilla grow area as that can be a serious offence. Don’t leave litter lying around, cigarette butts, cans, paper, nothing, take it with you. I drove a capped PVC pipe into my planter spot and drilled small holes in it. I hike back to my grow when it has not rained and carry a collapsible water container and fill the pipe with water. There is no evaporation and all water and mild nutes go straight to the roots. I have cypress mulch above ground to keep soil cool and minimize evaporation. Thanks for the advices, I was wondering… what if you want to do this in a tropical weather? I’m considering planting a couple of my babies in the woods that I can’t hide from my neighbors any more. Light cycle is 12/12 all year long, we are in winter right now, so there is heavy raining frequently. how long will they take to flower? Excuse my bad English. Cheers! When do I harvest outdoor plants with seed s? Did u get 2 grow outdoors in the UK, would be interesting 2 know ? How close can they be planted from each other? When I was a boy, cannabis blew into our cow pasture with the wind and the birds and over a ten year period nearly took over prime pasture lands. At the time, we had no idea what it was. We thought it was some sort of nettle. My sister and I had to clear out tracts of land with machetes. The cattle wouldn’t touch the stuff. An uncle of mine who is a cop told us what it was. We got really serious about eradicating it then and started spraying it. Around the same time, farmers out west were in the news for having the same problem, only they were being charged and facing huge fines and jail time for wild crops seeded by the wind and the deer. Deer and goats will eat your pot. Hi Whip dog. That is a real interesting question. I have set it up in our forum for you. Take a look and see what replies you get. Is touching cigarette tobacco or having coppenhagen snuff on ur fingers death to marijuana plants if you touch them? I don’t know about the snuff, but touching tobacco and then your plants should not harm them. Tobacco dust, made from natural tobacco, not cigarette tobacco(it probably doesn’t matter but I take issue with giving my plants formaldehyde, ammonia, arsenic and the plethora of other chemicals added to cigs) actually works as a pest repellant if you scatter it on the ground around your plants.